It is finally here!! 3-D gaming without glasses!! Nintendo 3DS includes two screens. The bottom touch screen makes use of a telescoping stylus that is stored in the unit itself. The top screen displays 3D visuals to the naked eye. Looking at the screen is like peering through a window into a world where characters and objects have true depth. The system also has a 3D Depth Slider that lets players select the level of 3D they enjoy the most. 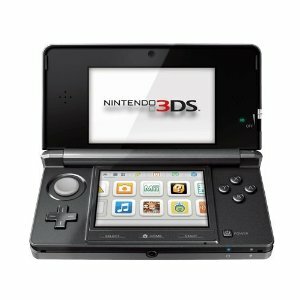 Nintendo 3DS Features: 3D Upper Screen, Touch Lower Screen, New input & controls, Inward-Facing Camera, 3D Depth Slider, Wireless Switch, Dual Outward-Facing Cameras, Augmented Reality (AR) Games and built-in applications! Be one of the first five customers to mention this ad at your Kalona RadioShack or iTech and receive a FREE Pad and carrying case!! That’s right! …A FREE PAD AND CARRYING CASE. Don’t be foolish and let this opportunity pass you by!